White Leaf Public School,run by the Sai Mehar Murt Educational Society (Regd. )has been founded by Mrs. Anila Rani W/O (Retd) Brigadier Ram Darshan. 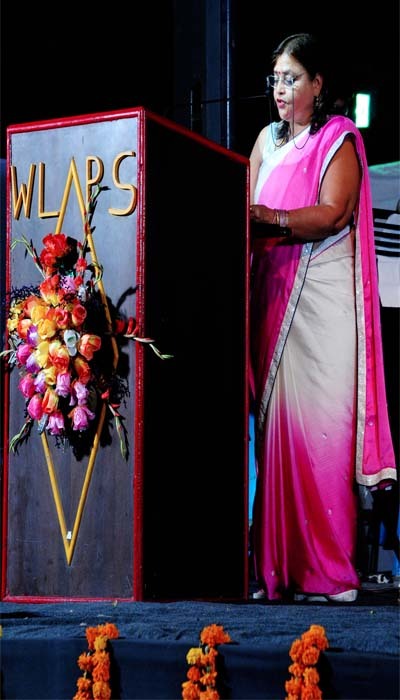 She is keenly associated with the educational institutions for the last 30 years. Her aim is to promote an ideal and progressive institution which can produce the best citizens who may serve the country with a deep sense of duty, dignity, discipline and devotion. Sai Mehar Murt Educational Society has its main aim of spreading quality education among the outer areas of Delhi, where there is a need of good education institution. This society was registered in 1993 with the Registrar of Societies, Delhi vide Registered No.S/25246 on 30.12.1993. The society is running two Schools under its aegis as follows. White Leaf Public School(Sr.Sec.). Main Narela Road, Bawana Delhi-110039. White Leaf Public School, Pooth Khurd, Delhi-110039.